Last week, the city of Cambridge held its first ever Jummah prayers at the new purpose-built Cambridge Mosque. The imam rightly called it "a historic moment". 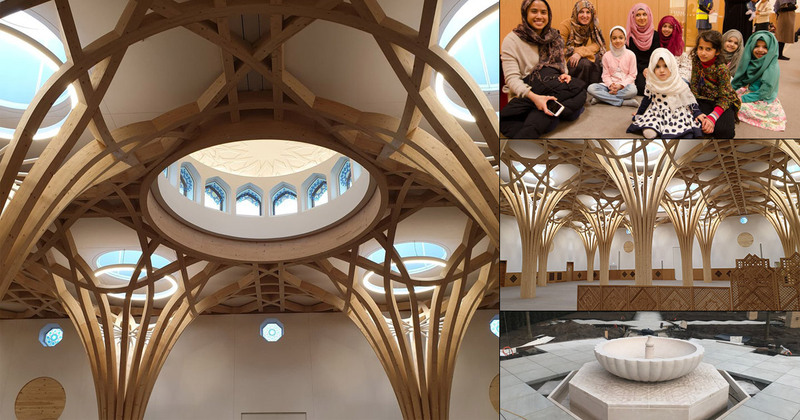 It is Europe's first Eco-Mosque and will likely become a landmark building in the ancient city, partly a place for worship and partly an inspiration for others. "Islamic civilization has been based on the rejection of waste as an under-estimation of God’s blessing and so in the construction of the new mosque here in Cambridge, we were very much in the forefront of the local environmental movement," says Tim Winter, aka Shaykh Abdal Hakim Murad, chairman of the Cambridge Mosque Trust. The complex was built with an emphasis on sustainability, reliance on clean-green energy and recycling waste. "We are using the latest conservation technology and green roofs so that we’ll have an almost zero carbon footprint," says Winter. The mosque is naturally well-lit through large skylights and well insulated to preserve energy usage. It is heated and cooled through renewable energy harvesting heat-pumps rather than gas boilers. The mosque says these type of heat pumps extract energy from the relatively stable temperature of the air or ground water, which heat or cool the building as necessary. It is also designed so that no artificial lighting will be necessary during daylight hours, and has a large array of solar panels on the roof to partially generate its own electricity. Bismillah: the new Cambridge Mosque. The first purpose built mosque in the city of Cambridge. The building recycles rainwater for flushing and internal water usage is recycled for irrigating the grounds and landscaping. It will also have ample space for bicycles and be easily accessible by foot. There are baby-changing facilities for both women and men! New vistors enter the mosque through a green edge created by an enlargement of the existing community garden. There are plans to grow a mini-forest inside the mosque complex. "This garden will include 20 newly planted cypress trees to enhance the feeling of an 'oasis' that the building as a whole embodies," they say. Cambridge Mosque says its already low carbon-footprint will improve as more of its electricity comes from renewable sources. The praise the mosque has already received shows it will also serve as an inspiration to many others.